My husband and I are college sweethearts. We are both Auburn University alums and if it wasn't for that school, we never would have met. Our family exists because of Auburn. This makes us all the more passionate about our alma mater. I have been trying to find ways to incorporate Auburn into our decor without splashing a bunch of loud orange and blue everywhere. It can be very difficult to use college decor and it not come off like a tacky, college dorm room. One thing our house has lacked, until recently, is a gallery wall. 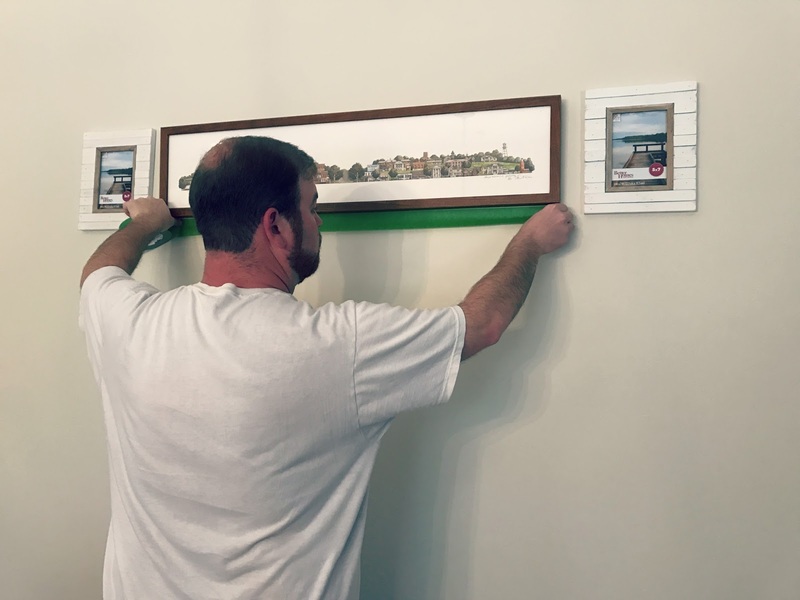 We kept putting off this project because one of the pieces of art we wanted to hang required custom framing and it just felt like such a high maintenance ordeal. I purchased this print for my husband, who was my boyfriend at the time, as a graduation present. 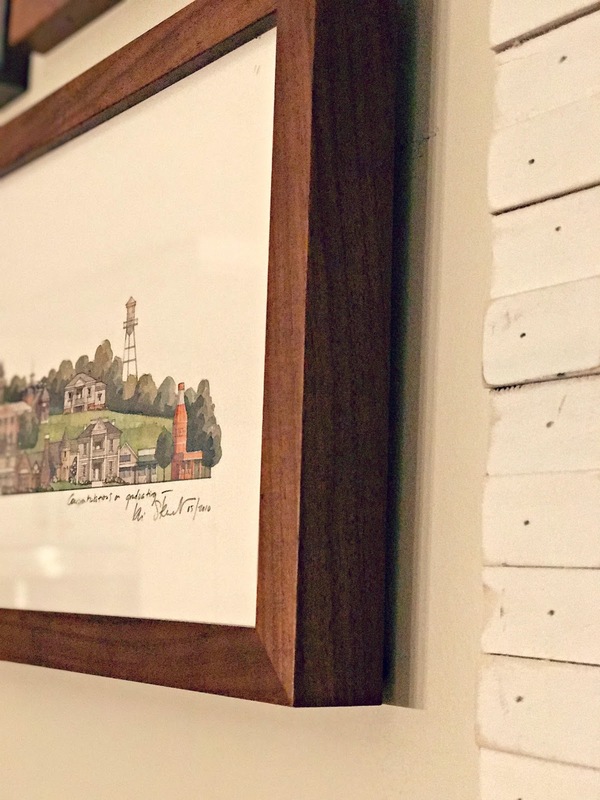 It is an architectural watercolor of famous landmarks in Auburn and Opelika, AL. It is signed by the artist, Iain Stewart, who is the spouse of a friend of mine. So what made me finally decide to tackle this project? 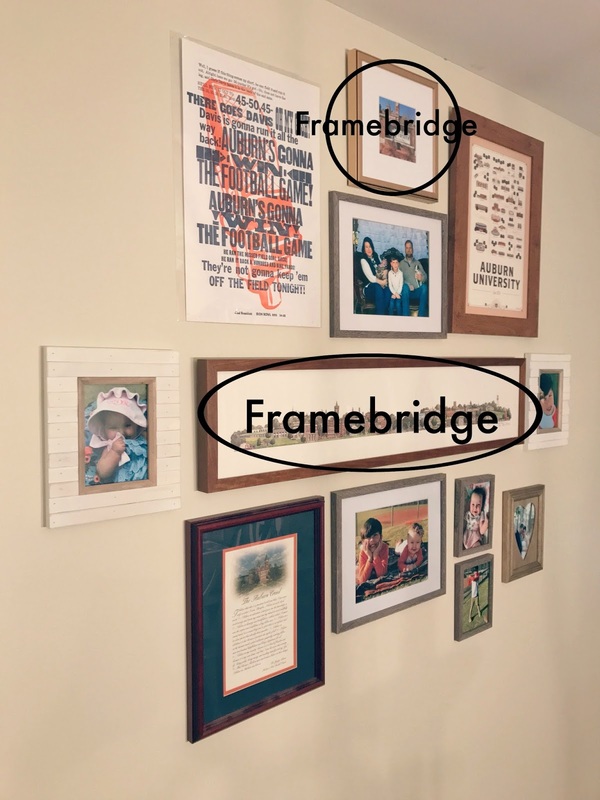 I discovered a custom framing company called Framebridge. 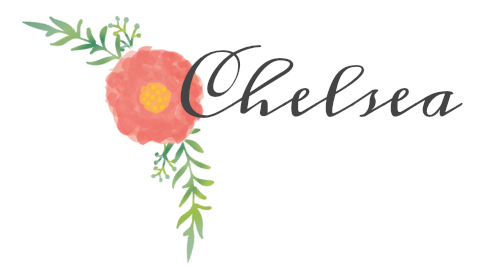 Y'all, this company has changed my life. 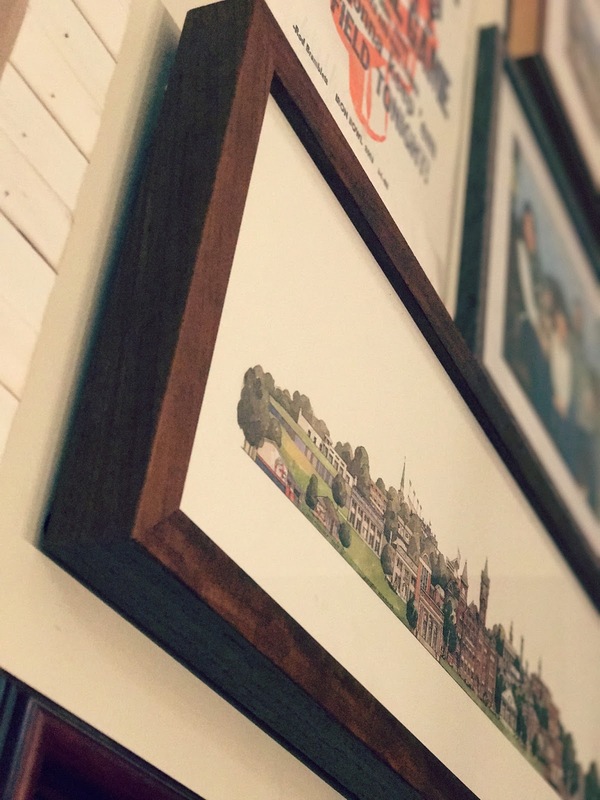 You pick the frame want, put in your measurements and order the frame. Then you wait for them to send you a tube for you to put your art in, send it back to them and then they send you back the framed art. Y'all it is SO easy! 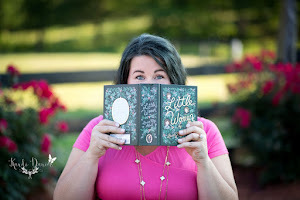 They will frame the oddest of sizes and I heart them for it! 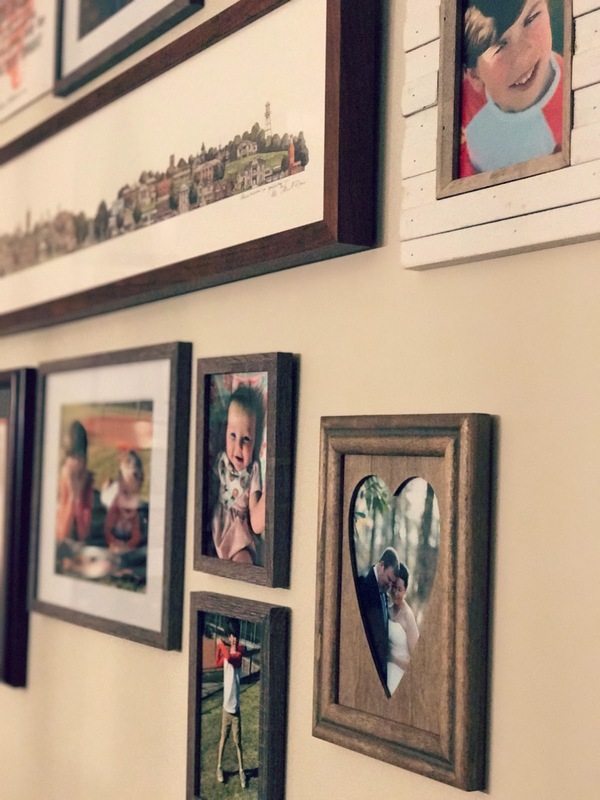 When designing my family gallery wall, I kept my eyes on pieces that were more muted in tones and tried to steer clear of items that had the official college logo on them. I love Auburn orange and blue, but they are quite loud and not what I want splashed all over our home. I wanted to incorporate original pieces such as the artwork mentioned above, as well as the letterpress and the map of buildings on campus that you see. I looked up various tutorials on Pinterest on how to layout a gallery wall, but in the end I just went with my own little concoction. 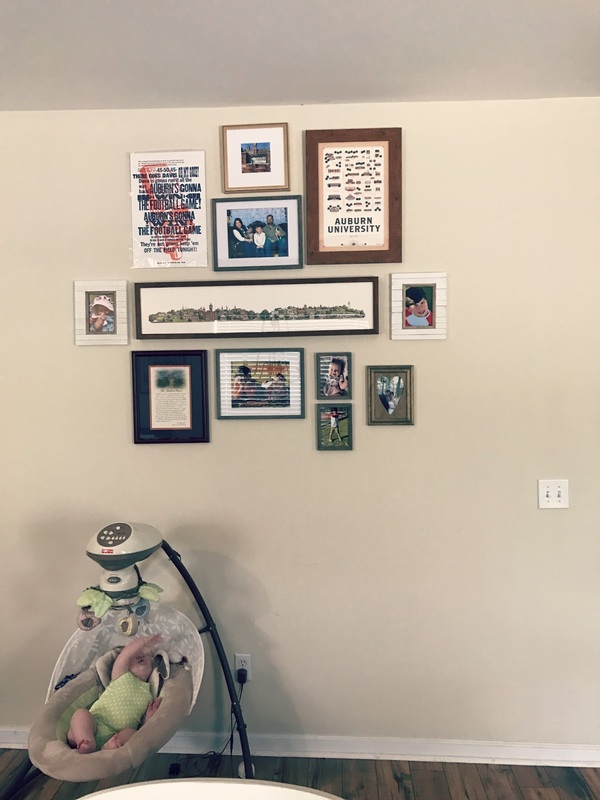 I laid all the pieces out on the floor to find a layout I liked.........then I asked my husband to do everything....That is my amazing home decor tutorial...plan it all out, then have your husband do it! I heart you, hubs! 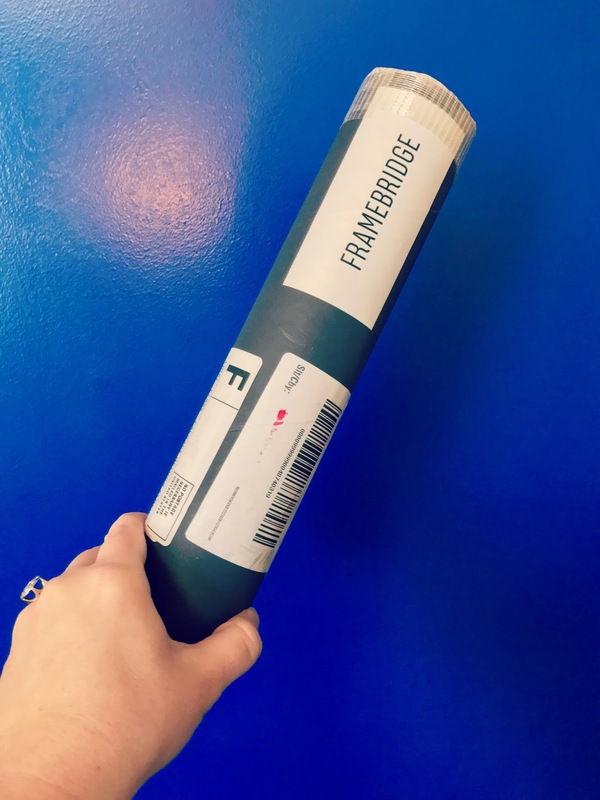 Framebridge is extremely economical in comparison to storefront custom framing shops and the process is so much easier. Above all, their customer service is phenomenal. When I mailed the piece of art, it got lost in USPS mail for a couple of weeks. 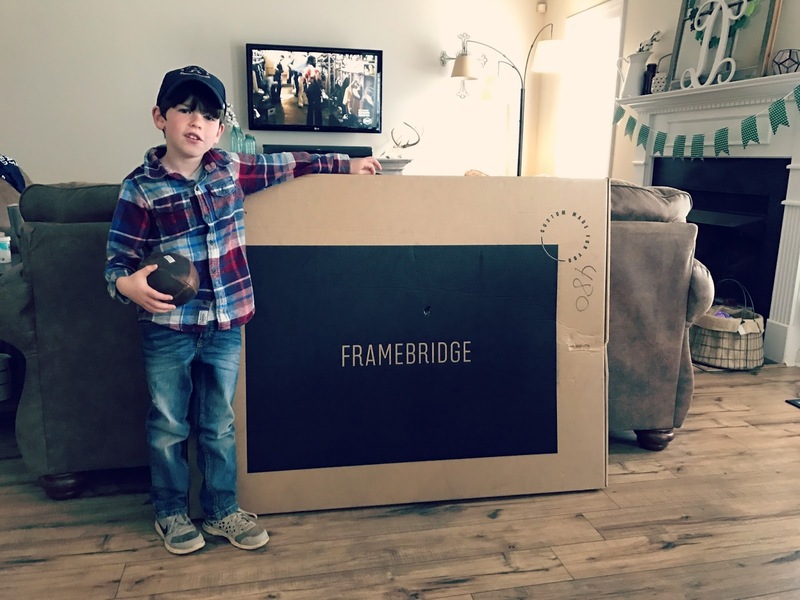 The people of Framebridge worked tirelessly until they located the package and I am so grateful. 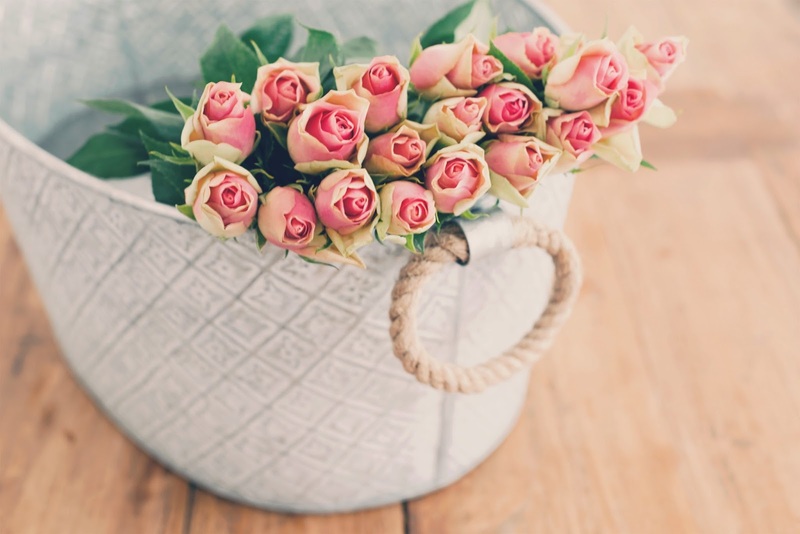 I was blown away by how caring and dedicated they were to me as a customer. PS - They provide tracking for all pieces sent to them. Thank you, sweet baby Jesus! The nice people at Framebridge are offering a 15% discount exclusively for Red Velvet Rooster readers! Just use the code redvelvroo15 ! 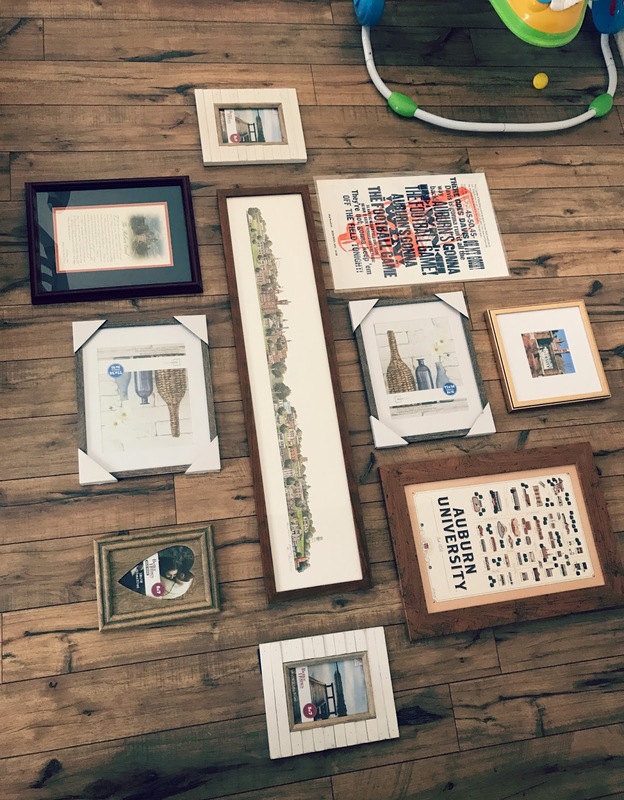 Happy framing, y'all! !